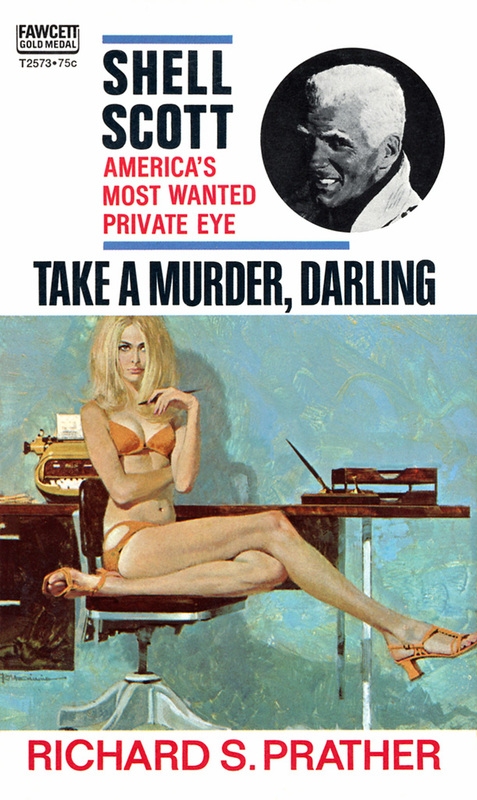 Killer Covers: Happy Birthday, Robert McGinnis! 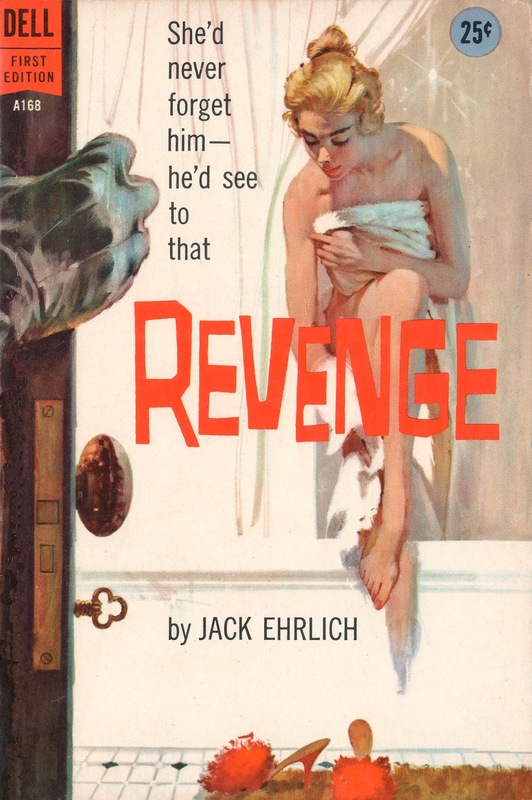 Above: Revenge, by Jack Ehrlich (Dell, 1958). 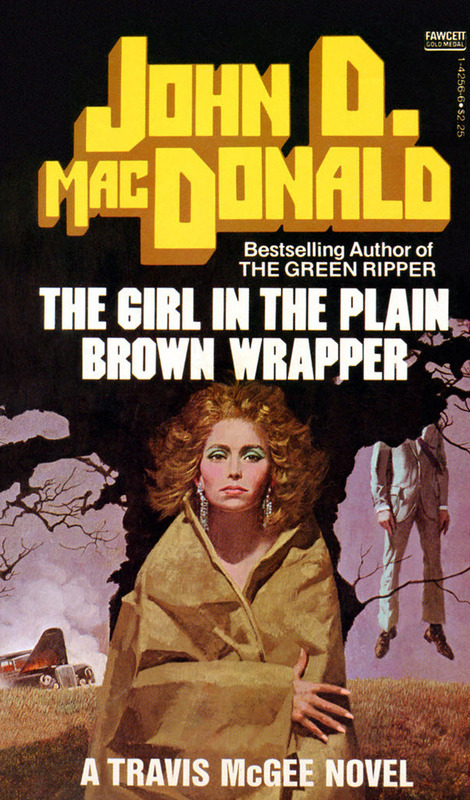 Below right: The Girl in the Plain Brown Wrapper, by John D. MacDonald (Fawcett Gold Medal, 1981), the 10th Travis McGee novel. Not everybody lives to be 93 years old. But that’s the age renowned Ohio-born artist-illustrator Robert McGinnis will turn this coming Sunday, February 3. To celebrate this occasion, I’ve composed a small tribute to McGinnis for CrimeReads. You will find that here. I own several stacks of McGinnis-illustrated paperbacks, and my computer files contain scans of hundreds more. 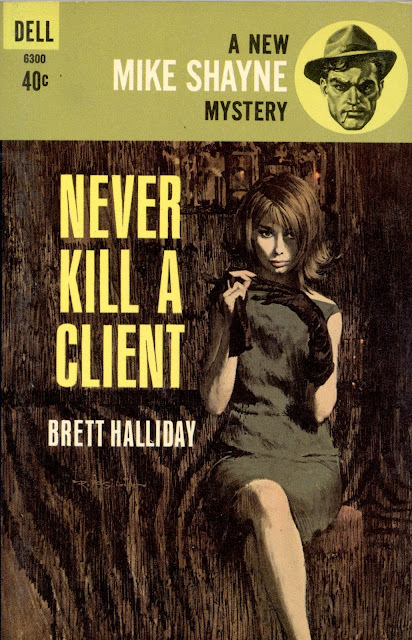 Choosing just over three dozen prime examples to help readers understand the range and distinction of McGinnis’ artistry was no elementary task, and I kept adding and subtracting until I decided I’d found the right combination. Some of the book fronts I dropped (with regret) in my concluding round of cutting have been used to illustrate this post. The number is now 1,101. Last entry is So Many Doors, the [Hard Case Crime release] by Oakley Hall—the [Robert] Maguire-McGinnis “collaboration.” I think I’m current with all books issued since the 1,088 number, but there’s always a chance I missed a book somewhere. There are four paperbacks—two Avon Gothics and two Dells—that are on my Desperately Needing Upgrade shortlist. 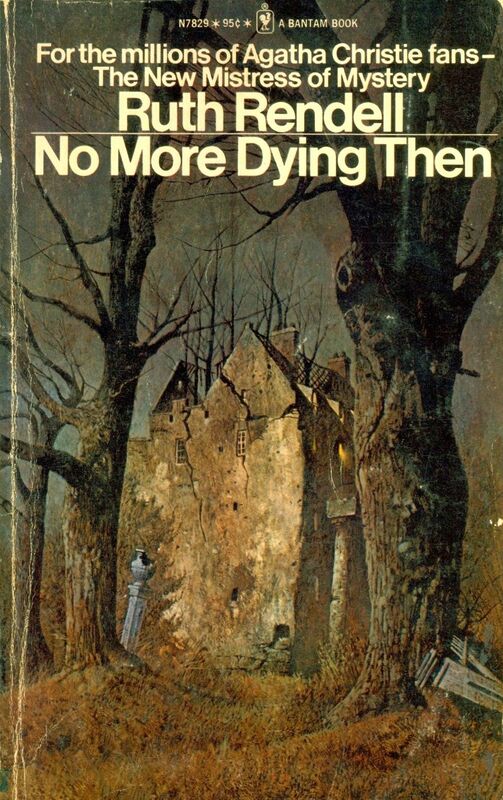 Were there time and funds enough, I could chase foreign paperback editions forever, but I have to be content with occasionally getting on Google Images and similar sites to download interesting foreign covers—[which] reprint, and sometimes mangle, Bob’s original paintings. I have done my best to not mangle any of the images used in today’s CrimeReads salute to one of the foremost American paperback illustrators. Click here to read it. 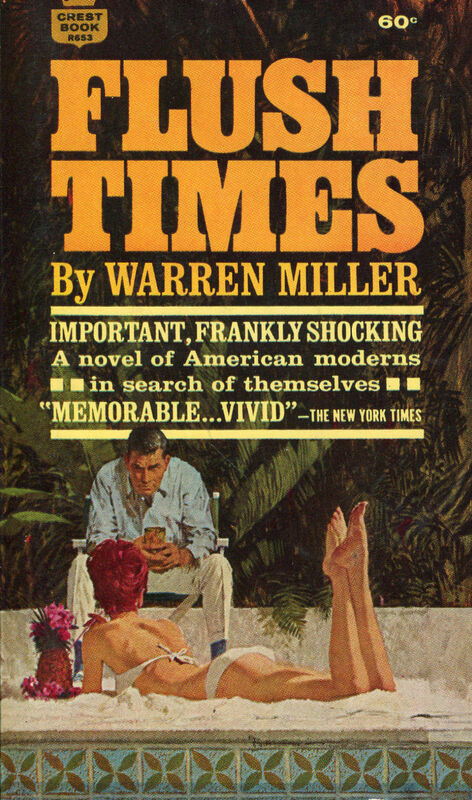 Left: Flush Times, by Warren Miller (Fawcett Crest, 1963); click here to see the original painting. 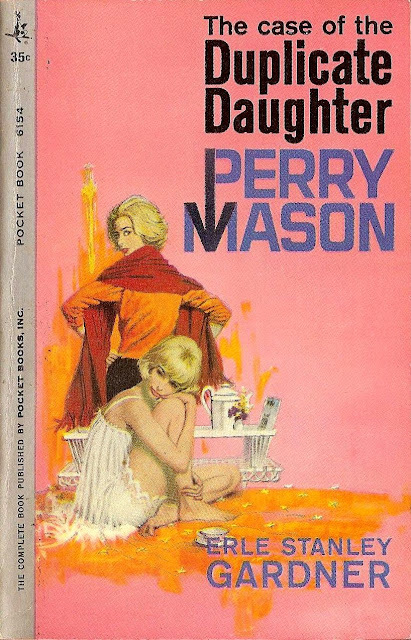 Right: The Case of the Duplicate Daughter, by Erle Stanley Gardner (Pocket, 1962). 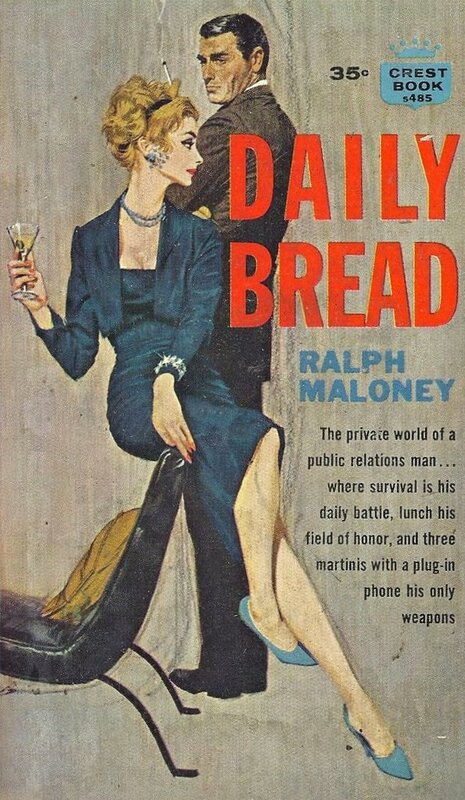 Left: Daily Bread, by Ralph Moloney (Fawcett Crest, 1961). Right: No More Dying Then, by Ruth Rendell (Bantam, 1974). I, for one, did not remember that McGinnis had created any covers for Rendell’s novels; this is apparently the only one. 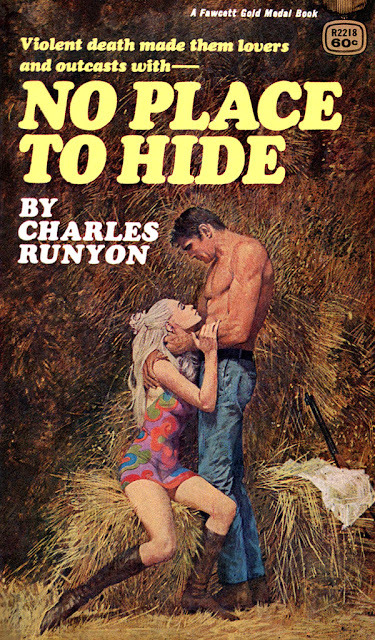 Left: No Place to Hide, by Charles Runyon (Fawcett Gold Medal, 1970). 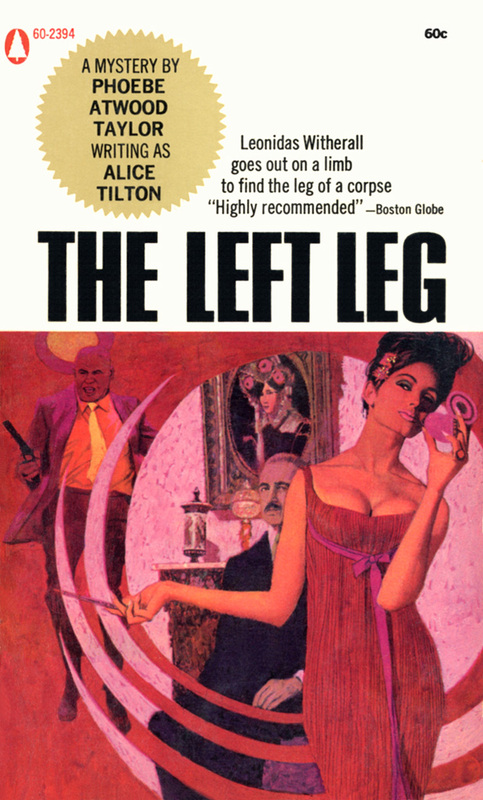 Right: The Left Leg, by “Alice Tilton,” aka Phoebe Atwood Taylor (Popular Library, 1968). Left: Take a Murder, Darling, by Richard S. Prather (Fawcett Gold Medal, 1965). Right: Never Kill a Client, by “Brett Halliday,” aka Davis Dresser (Dell, 1963). 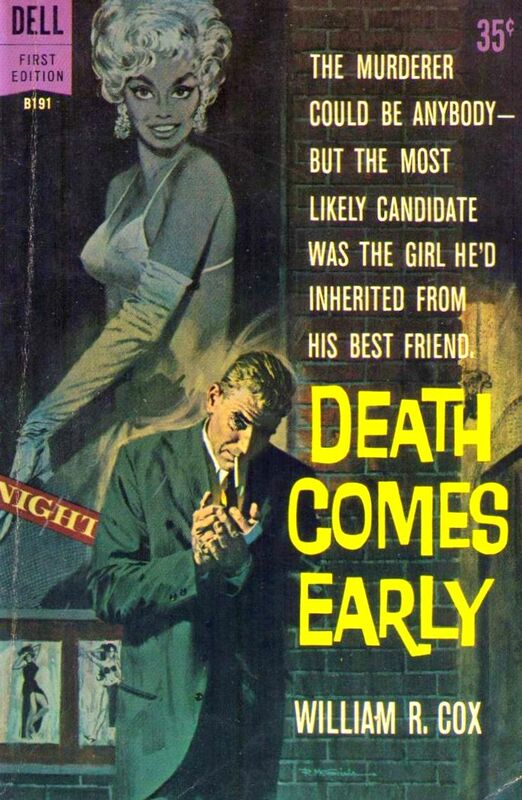 Left: Death Comes Early, by William R. Cox (Dell, 1961). Right: W.H.O.R.E., by “Carter Brown,” aka Alan Geoffrey Yates (Signet, 1971). Wonderful. 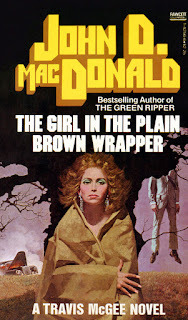 Now you have given me many more books with covers by McGinnis to look for. I enjoyed the CrimeReads article very much.